For coffee fiends who prefer to get their milk foam just right, the top-rated Nespresso 4192-US Aeroccino4 Milk Frother is a truly excellent tool. This high-quality milk frother can make either cold or hot milk foam and can also heat milk, offering you a wide range of options for your next caffeine fix. In terms of foam consistency, it’s versatile—you can choose between two levels of foam density, to make either lattes or cappuccinos. Plus, the Aeroccino4’s sleek design renders it easy to use and simple to clean (it's dishwasher safe). The gleaming stainless steel Aeroccino4 produces the creamiest, thickest foam imaginable, resulting in decadent and delicious coffee drinks. Reviewers write that this machine provides consistent results, and it's worth every penny because the results "taste better than Starbucks." The PowerLix Handheld Battery Operated Milk Frother earns top marks for it's slim, portable design and ability to create delicious foam (even with non-dairy milk) in a matter of seconds. The wand is made from 18/10 stainless steel that won’t rust, tarnish, or stain, and it won’t bend or break in normal use. The motor provides 19000 rpm's and runs quietly, so you can have your early-morning latte or late night hot chocolate without disturbing anyone’s sleep. The power button is conveniently located on top, and the sleek black body looks good in any kitchen. It’s lightweight and ergonomic, and cleans easily. When coffee hour is over, you can use this for mixing milkshakes or blending cocktails, as well. Two AA batteries are required; they are not included. The frother body should not be immersed in water. 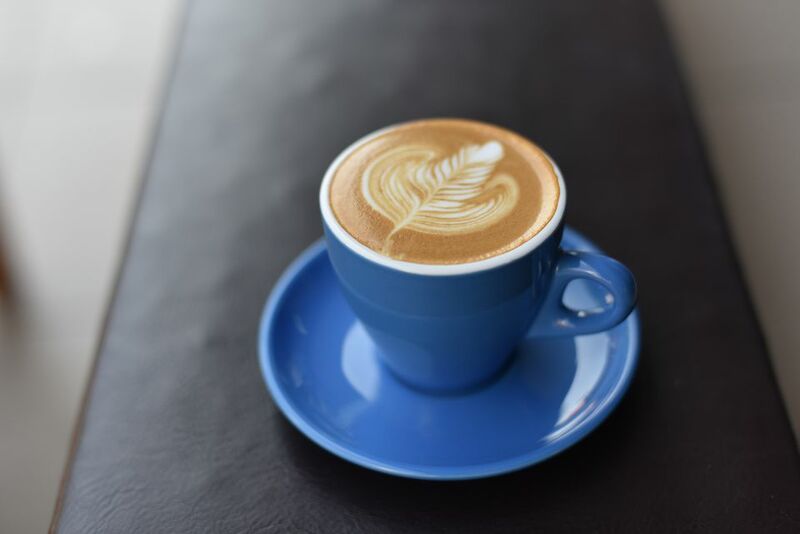 One of the very first hand-held frothers on the market, aerolatte has continued to improve the product over the years, including versions that include stands, cappuccino art stencils or quirky decorative bodies. Meanwhile, they’ve engineered the tiny motor to operate at a speed and torque that is perfect for foaming milk and the spring coils are just as specifically produced. This frother leaves out the extras, but does exactly what it’s supposed to—it creates frothy milk in 20 seconds or less. This can handle almost any kind of milk, either hot or cold. The whisking head and shaft are made from 18/8 stainless steel that won’t rust, corrode or stain. The shaft is hardened and thickened to protect against bending. This operates on two AA batteries that are pre-installed and has a simple toggle switch to turn it on and off. The body should not be immersed in water. To clean, just rinse under hot tap water or operate it in a glass of hot soapy water for a more thorough cleaning. This handheld frother is available in a variety of different colors and designs. If you're looking for a frother that can be displayed on your kitchen counter, this beautiful stainless steel frother is a great option. And, because the carafe is made from stainless steel with vacuum insulation, it keeps your milk hot or cold. This versatile frother can heat milk if you enjoy lattes, or it can make hot or cold milk froth for cappuccinos. It holds about one cup for heating and 1/2 cup for frothing, since the volume doubles. It's also easy to operate—it has one single button for operation. Press and release immediately to turn on both the heater and frother, or press and hold the button to turn on the frother without the heater to make a cold foam. It features a detachable base for easy pouring, and a brush that you can use to clean your machine. For a milk frother that won't break the bank, the Norpro Glass Froth Master is our top pick. This human-powered frother can hold up to 2 cups of foam, to make enough froth for several servings from just 1/3 cup of milk. Since it requires no power, you can make foam at the table or take the frother with you anywhere. The manufacturer says that froth made from chilled milk with no steam is lighter and the foam lasts longer, so it’s suggested that you always start with cold milk. To make the foam, just add cold milk to the carafe, put the lid on, and pump for 10 to 20 seconds to create a thick foam. If you prefer hot foam, microwave the foam in the beaker to warm it. The beaker is made from tempered glass and has a removable rubber base for stability and to help prevent accidental bumps. Since the carafe is clear, you can watch the foam as it forms, and stop when you’re reached your desired consistency. Recipes are included, in case you need more ideas for foam or how to use it. Hand washing is recommended. This manual frother is much more economical than electric models, and it's a great choice for travel, camping, or glamping. Even though it's manual, it still creates a rich foam in a minute or less. The lid has a built-in double mesh aerator that easily creates foam, and the carafe has an easy grip handle. It holds up to 14 ounces. This can froth cold or warm milks. To use, just add warm or cold milk, place the plunger and lid on top, and pump the handle for 30-60 seconds to create the ideal foam. This is top-rack dishwasher safe for easy cleaning. Since it doesn’t require electricity, it’s very portable, and the stainless steel carafe is durable enough for travel anywhere. If you’re serious about coffee, you need a serious, high-end frother that makes tiny bubbles for the smoothest, thickest foam. This electric frother includes two separate frothing discs for different types of froth. The latte frothing disc produces a smooth, creamy milk, while the cappuccino frothing disc creates a thick, creamy froth. There’s onboard storage for the discs, so you won’t lose them in the bottom of a drawer. Besides frothing milk, you can use this to make smooth creamy hot chocolate or other hot drinks. It’s easy to use, too. Just choose the proper disc, fill with enough milk to create one to three cups of foam, select the temperature, and start the machine. The temperature is variable from warm to hot, and machine will turn itself off when the proper temperature is reached. There is also a cold-stir option that will mix cold beverages and provide a little froth, but it won’t make a cold foam. This uses induction heating to warm the jug and control the spinning frothing disks. Since the jug doesn’t need to have any electronic components, it means the metal jug is dishwasher safe. This high-end electric frother is packed with features to maximize the beverages you can make at home. It can create a rich, thick froth in seconds, and holds 12 ounces for heating and 8 ounces for frothing. It includes two frothing disks and one heating disk that stirs the milk so it doesn’t scald during heating. Since the pitcher is clear plastic, you can watch the foaming process. Hand washing is recommended, but users have reported that they have washed the pitcher in the dishwasher with no ill effects.